Call us today and get back in touch! 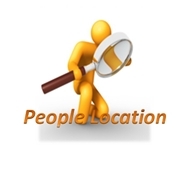 The People Location tracing agents are a well-established team of people tracing experts with over 20 years of experience in tracing friends, family and debtors. We work for people all over the UK and around the world. We are proud to be a truly in-depth tracing agent taking time to research on the case at hand and focus on accurate results. We have untaken several key roles on recent television programs such as, more recently, separated at birth and born on the same day. 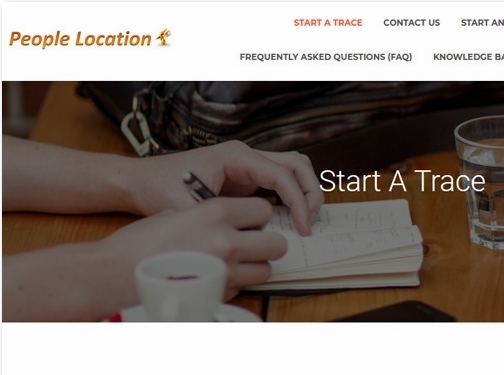 We very much enjoyed playing a key part in several of these episodes..
People Location tracing experts do much more than simply rely on simple software searches like many other budget or low-end tracing agencies. We are take pride in our work and spend adequate time and money on each submitted person trace request. People tracing at an in-depth level is really where our team stands head and shoulders above the competition. Our agents spend days weeks or months piecing together, snippets of information, complex family lineage, historical database sweeps and much more. We have thousands of happy clienteles that have benefited from our high level and in-depth people tracing service. Need to trace a debtor? Our team has been tracing debtors for 20+ years. Our people tracing experts are well versed in all the matters that are debtor trace related. If you need to trace a debtor that is elusive or hard to confirm at a current address our team will be happy to discuss your scenario and advise. We also undertake express debtor tracing for same day or next day results. We stand out from the average or budget tracing Agencies who only supply low-end searches with minimal time and expenditure on the case. Fast turnaround times may mean cutting corners when the case deserves time and budget. So, you may find that if the person isn't on a voter register or online credit data system the case is reported as a no-trace. Or possibly worse, reported incorrectly! That's why our team of tracing agent experts take extra steps to ensure that the service we deliver is appropriate to the details supplied. We take pride in our work and always offer a friendly understanding service for nervous or skeptic clients. We know our searches relate to real people with real goals. Our people tracing experts have years of experience and training. We are a high level and in-depth tracing agents. We are fully registered and compliant. And, above all, friendly researchers who really care about their work. If you are in need of a people tracing specialist, then visit our website or call our team for a chat about the person you want to trace. UK (London) based business - established in 2002 - providing people tracing services. Website includes details of services provided, FAQS, associations, full contact details including company registration and VAT numbers. Company website has been online since 2010 according to web.archive.org.